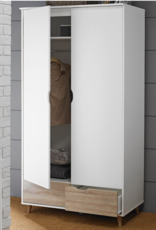 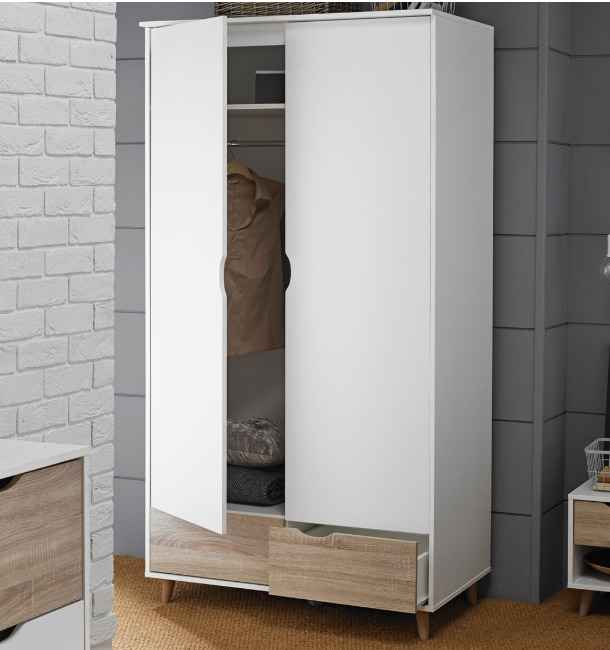 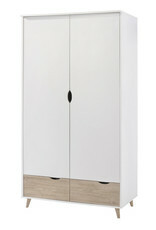 The Stockholm 2 Door Wardrobe is part of the smart look of the Stockholm range. 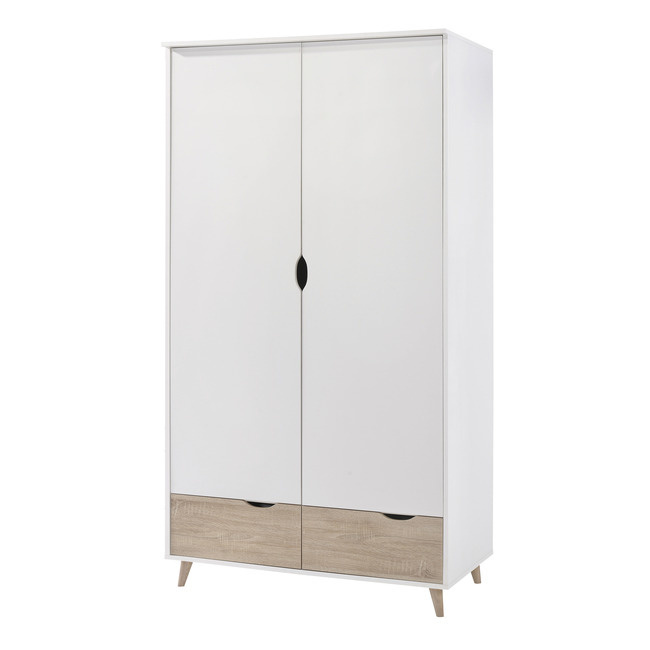 Offered at a very attractive price, the closet is comprised of a matt white finish carcass resting on delicate legs with 2 drawers and 2 doors featuring integral handles. 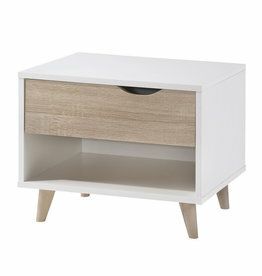 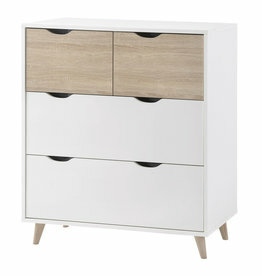 The ever popular oak front detail on the drawers coordinates the wardrobe with the rest of the Stockholm range. 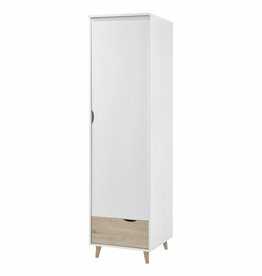 Dimensions:W:100 x D:58 x H:190 cm. 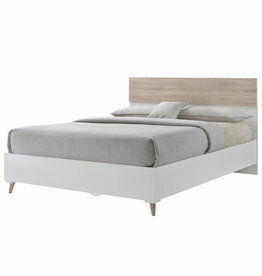 The bed is comprised of a low foot end and delicate leg.